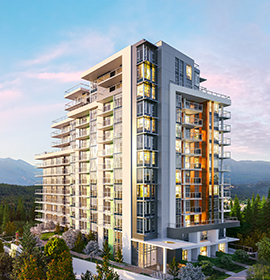 As the pioneers of SFU, Intergulf is proud to present Terraces at The Peak. Located in the sought-after West Highlands neighbourhood, Terraces at The Peak is steps from the top comprehensive university in Canada. These concrete residences offer 5-star amenities and the most incredible panoramic views in the province at unbelievable value.